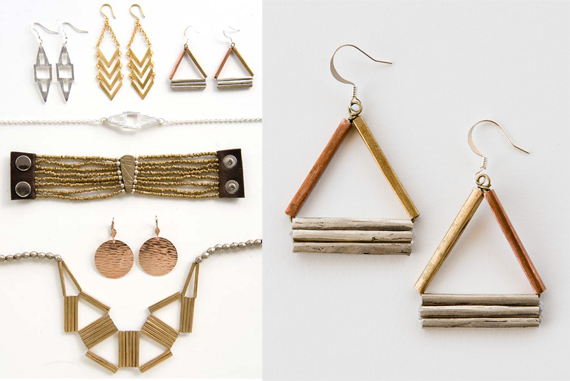 I recently received the most beautiful pair of handcrafted earrings (above right; outfit post coming soon!) 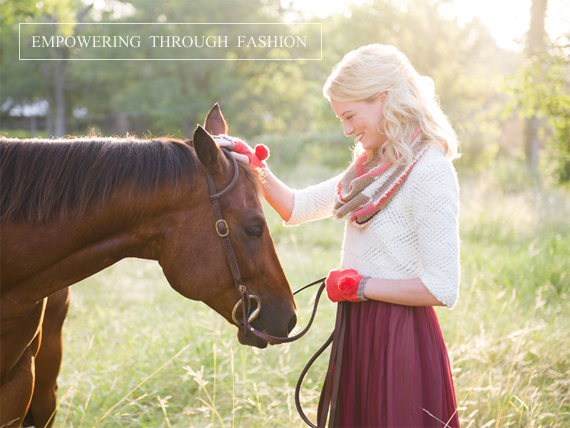 from a company called Noonday Collection. The more I learned about the company's story, the more interested I became. We talked back and forth quite a bit, they signed up to be a sponsor this month, and I read more about the workings behind their gorgeous accessories. They do really wonderful things, and I decided that I just had to share more about them with you guys. Several years ago, Noonday Collection's founder, Jessica Honegger, came up with the idea to host a trunk show in her home as a means to raise money to adopt her son from Rwanda. The style and purpose of the products drew an overwhelming response, and the business quickly grew beyond a fundraiser. Thanks to Noonday sales, Jessica and her husband brought home their son Jack in October of 2011. (So, so sweet!) Today, Noonday's goodies are handcrafted by artisans from around the world that each receive a living wage for their work. 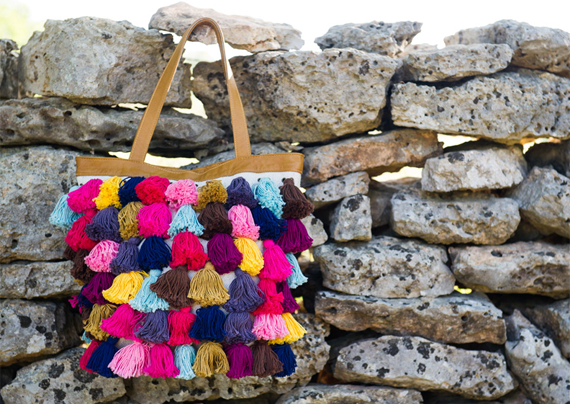 Every item is absolutely beautiful (take a look for yourself), made with love, and creates a pathway out of poverty for these artisans. Proceeds also help place orphans (like Jessica's son Jack!) in forever families. The particular earrings that I received (and have been wearing incessantly) were made from melted metals and bullets from former war conflicts in Ethiopia. Pretty powerful. 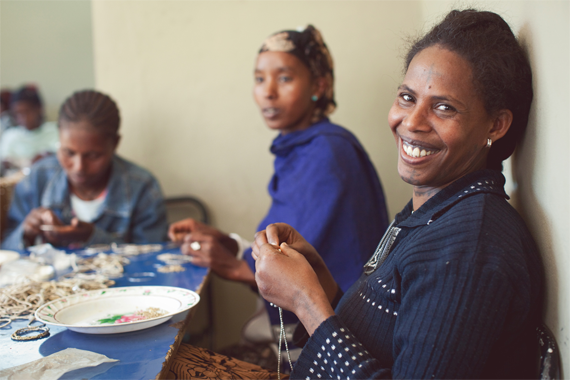 You can read more about the incredible artisans behind them (as seen in the photos above) and their stories here. 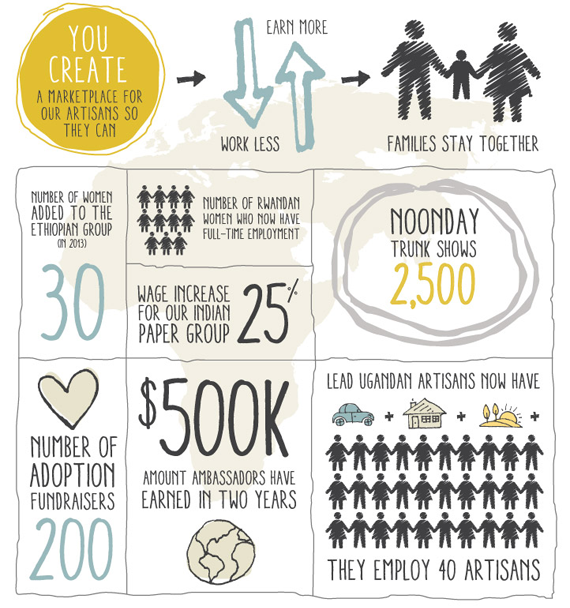 The stories behind all of Noonday's artisans (which span over ten different countries, including here in the US) are pretty magical. If you have a few minutes, I highly recommend checking them out. They're really, really inspiring. 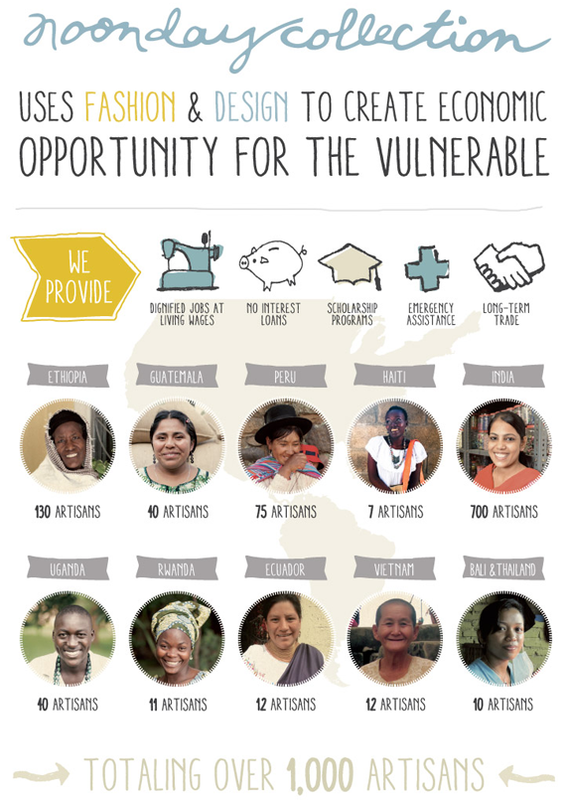 Noonday Collection also provides an opportunity for women in the US to earn an income and help create pathways out of poverty for the vulnerable through their Ambassador program. Ambassadors are the voice and face of Noonday in their communities, and are starting a movement where women become conscientious consumers. You can learn more about becoming an Ambassador here. 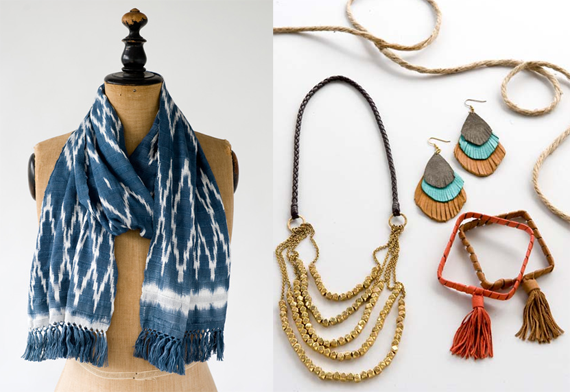 If you're interested in getting involved and doing something to help the Noonday cause, one great way to do so is to host a trunk show. In addition to making a difference, you can earn rewards for free jewelry (double win!). 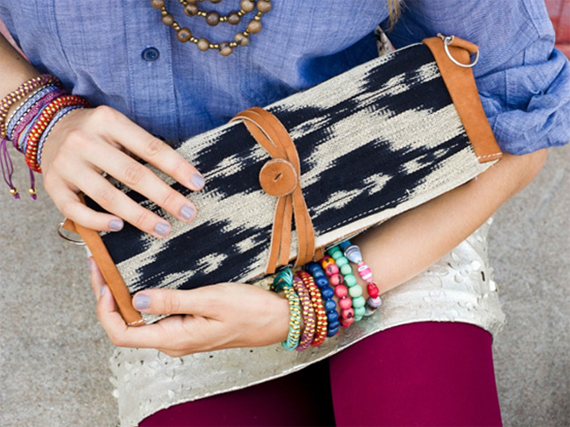 To set up your own trunk show, just enter your information with book now and you'll be connected with a local Noonday Ambassador in your area. All you have to do is open your home, invite your friends, and your Ambassador will do the rest! Sounds pretty rad, don't you think? I'm really grateful that I've gotten to know more about this truly unique company and all the things they do to empower artisans in need, and I hope to continue to work closely with them for a long time! 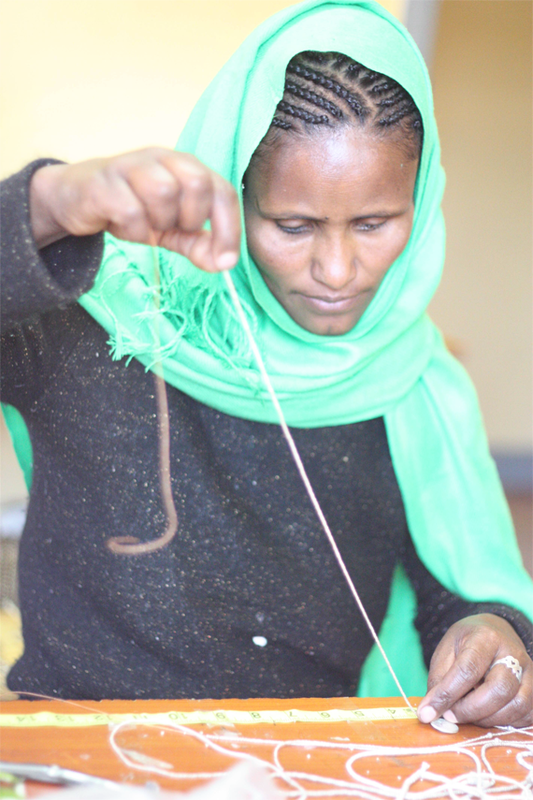 To learn more about Noonday, their products, and what they do to make a difference, visit their website and blog. You can also find them on Facebook, Twitter, and Pinterest. This is truly an inspiring initiative. Thanks for sharing! Oh my gosh what a cool company with a great mission and their jewelry is so pretty!! The trunk show thing is so neat too, I just might have to do that!!! Wow. It's always wonderful to read about a company with a true purpose. As much as I love Stella & Dot's creations, I would much rather host a trunk show for a company like Noonday where the proceeds are going towards positive change in the world! WOW WOW WOW!!! This is incredible. Thank you for sharing!! I definitely want to learn more. Beautiful products from a beautiful company with a beautiful mission! Thank you for introducing them! Wow, thank you for sharing this! What a fantastic idea, and such beautiful pieces! i was just looking at their website yesterday from the ad in your sidebar, really cool concept and merchandise. Thank you for introducing this incredible mission-driven company to us! I will definitely be supporting their efforts and sharing this with friends.